John M., a Star of Indiana alum, submitted this photo and caption. 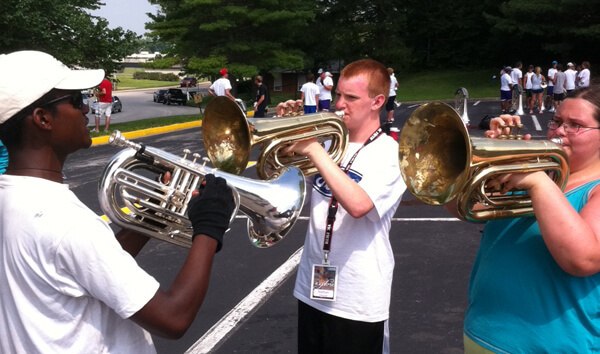 This picture was taken on July 9, 2011, of a member of Carolina Crown teaching two baritone players at the Carolina Crown Side-by-Side Clinic at EKU in Richmond, Ky. The two students are Nathan and Brianna, both freshman at Corbin High School in Corbin, Ky.